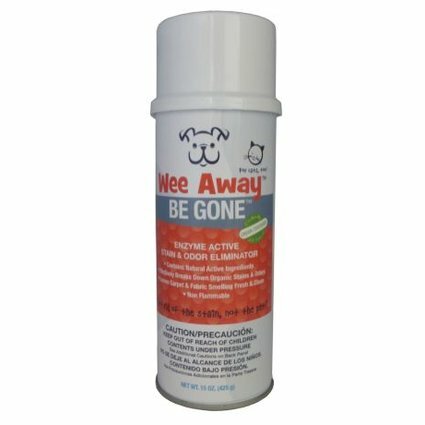 Be Gone is a concentrate blend of enzymes and d-limonene to make it one of the most powerful stain and odor removers available. 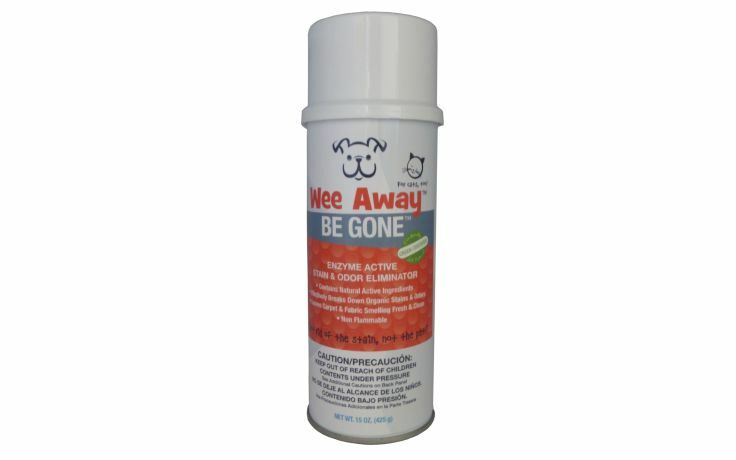 Be Gone is designed to quickly saturate and break down organic stains and odors caused by urine, feces, vomit, food, grass stains, mildew, coffee, tea, soda, grease, oil and other organic sources. Easy to use! It is not even necessary to bend down to apply this product! Hold Be Gone upside down and point spray tip towards spot or stain. Hold can at arm’s length, depress the tab on the top of the spray tip and apply in short burst until spot or stain is well saturated. Stain or spot will be gone in seconds! For large areas or excess staining use a white cloth to help blot-up the stain. Excessive deposits may require additional applications. Wait until material is dry prior to reapplying.